Total Care Endodontics & Microsurgery is pleased to offer the latest technology in Endodontic Radiology with the GENDEX GXDP-700 3D ExtraOral Imaging System, which combines focused-field 3D technology with panoramic imaging to offer the highest resolution at the lowest radiation dose. This latest Endodontic technology allows us to have a complete 3D visualization of the teeth and supporting structures aiding in better diagnosis, treatment guidance, and post-treatment evaluation. Treatment decisions can change drastically with these advanced 3-D views. While CBCT is not used in every case but can be invaluable diagnostic tool in situations like difficult to detect anatomy, extra canals and thin fractures. The surgical operating microscope provides us the magnification and illumination needed to visualize the most minute details inside your tooth, such as complex root canal anatomy, extra or calcified canal and fracture lines, and it facilitates a more thorough and precise treatment. Proper endodontic therapy is extremely difficult – if not impossible – to render without the use of the operating microscope. 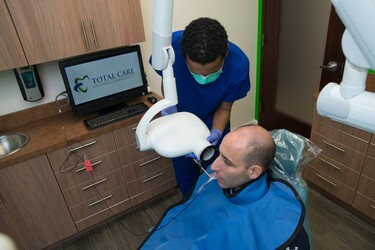 We also offer live video feeds of our procedures, providing our patients with the option to view their treatments on conveniently-placed flat screen monitors. By using computerized digital x-rays, we can reduce the radiation to our patients by nearly 90%. A comfortable sensor pad is used, instead of film, to capture an instant image, which also means shorter appointments for our patients. Because they’re digital, these x-rays can be enhanced by the computer for improved visualization and diagnosis. A printed report, including these x-rays, is sent to your dentist after your visit with us. 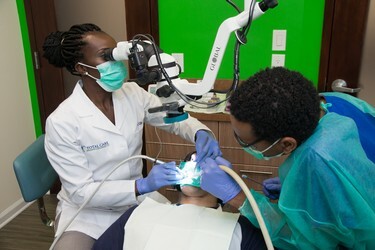 Through the microscope, we are able to take digital pictures and videos of your tooth. These images can be sent to your dentist for increased communication of your specific needs. 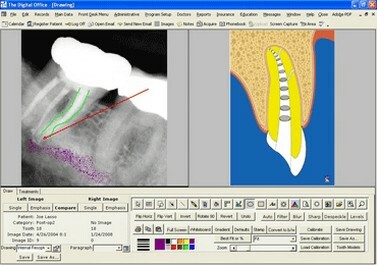 Digital imaging of your root canal system also allows us to improve treatment explanations during your examination, allowing you to visualize your need for dental treatment. This device helps Dr. Uju to precisely measure the length of the tooth’s roots electronically for complete cleaning of the tooth. 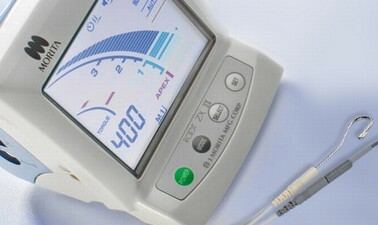 Since it is very accurate, it reduces the number of x-rays normally needed during the procedure. 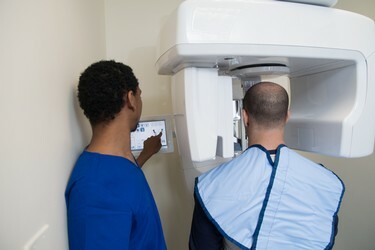 Used along with digital x-rays, this device lowers patient radiation exposure even further. 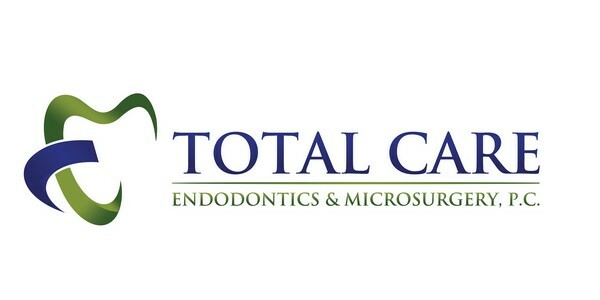 Total Care Endodontics & Microsurgery takes pride in offering a 100% digital platform with a paperless office where all patient records, images and x-rays are stored on a secure server with redundant backups. This is an added convenience for both our patients and referring doctors. You will never worry about communication between your dentist and Dr. Uju, as this paperless record-keeping system takes care of everything. You can fill out your HEALTH HISTORY and data on-line before your appointment, saving you time. Our Digital Office is secure to assure the privacy of your personal information. Your digital radiographs and photographs of your tooth can be shared with your general dentist in seconds, which improves communication and reduces the need for additional radiographs. We are able to check your INSURANCE benefits before you arrive and reduce the time in processing your claim. You are able to utilize CARE CREDIT for financing, if needed. We have an environmentally-friendly solution to reduce paper waste. If you do not have internet access or a computer at home, our staff will gladly help you record all the necessary information via a tablet we will provide for you in the office.